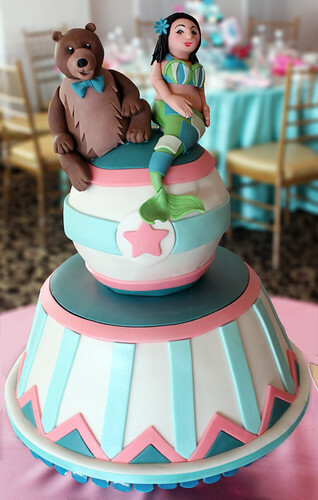 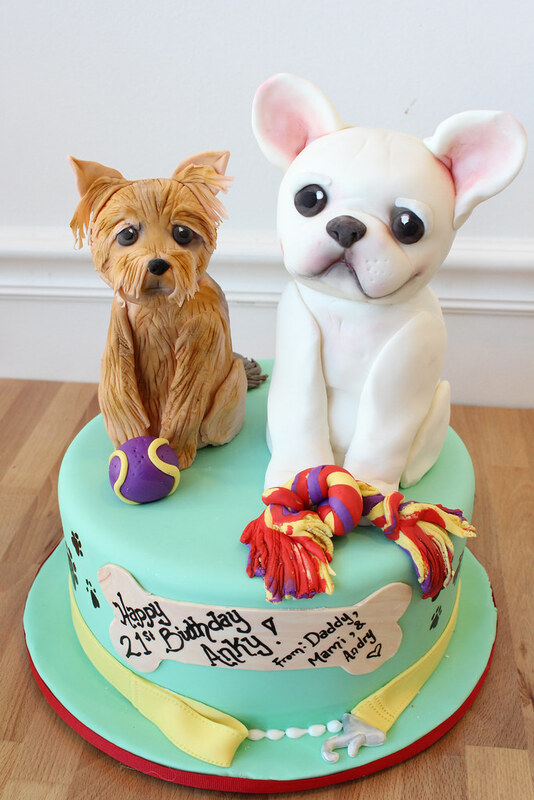 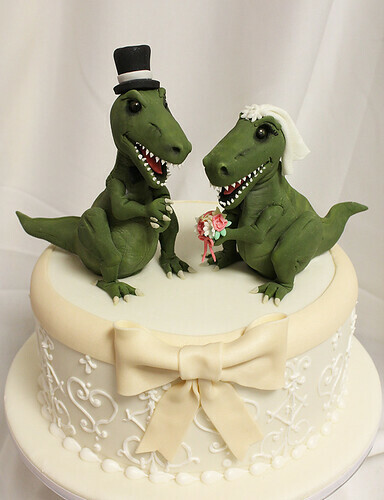 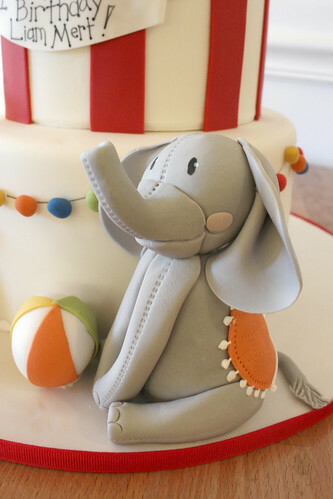 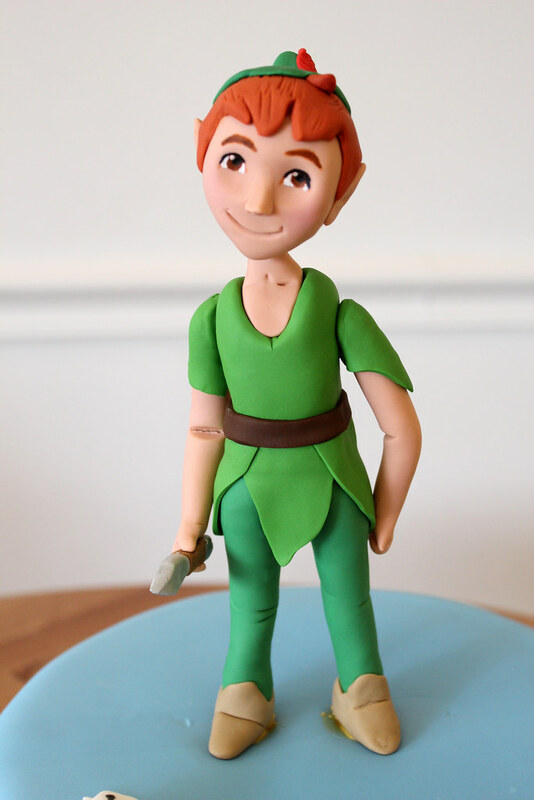 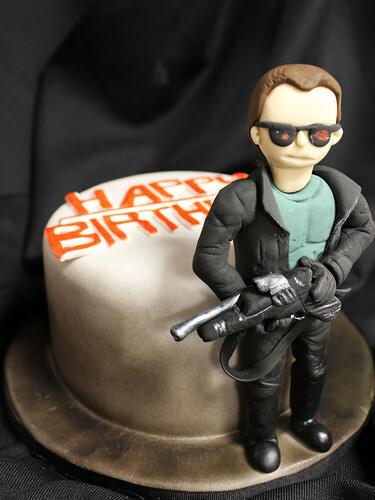 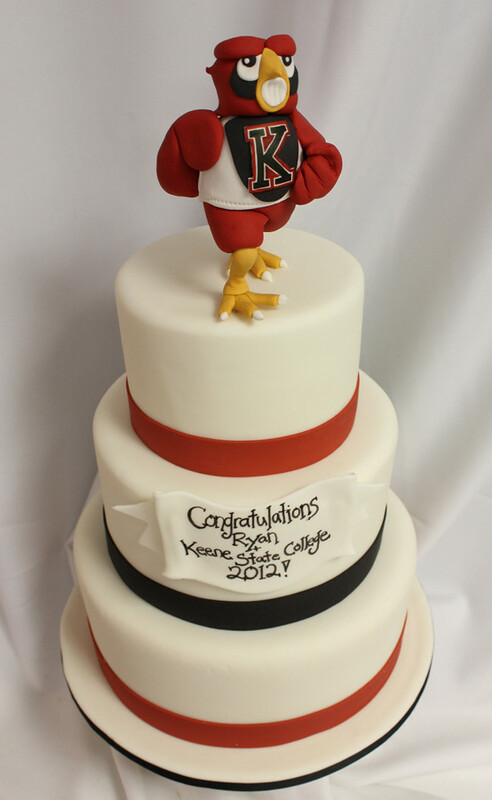 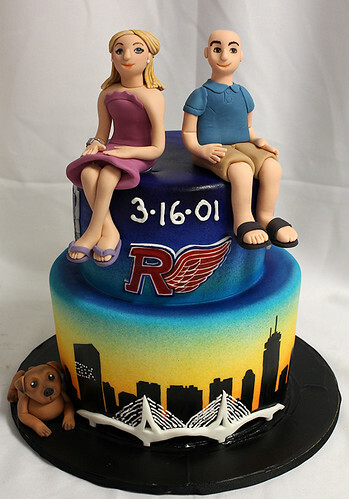 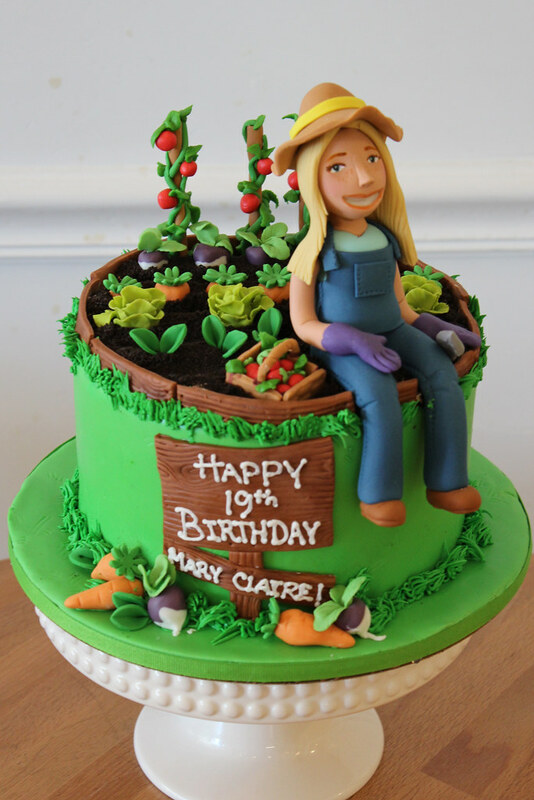 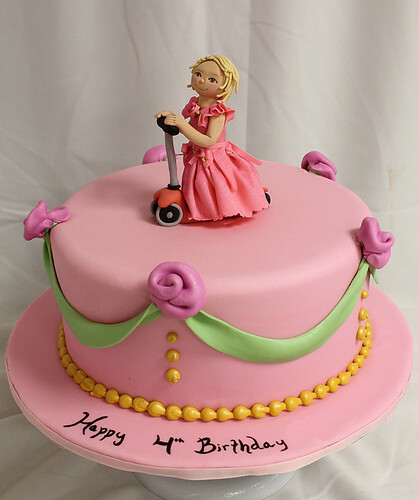 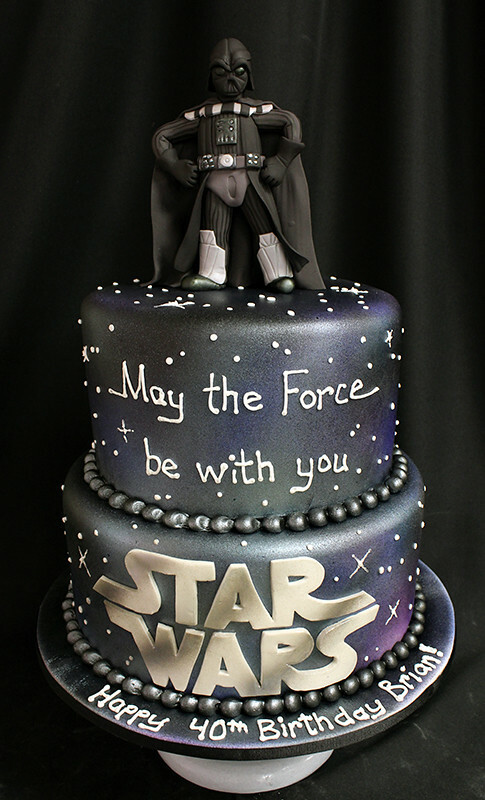 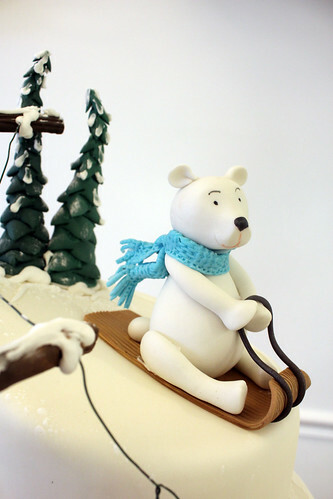 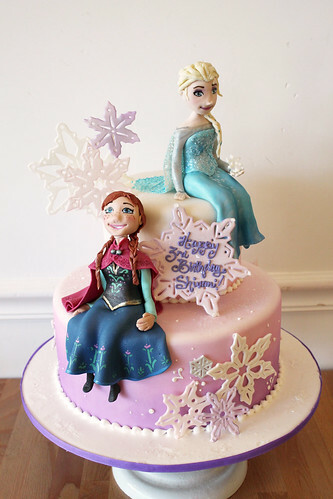 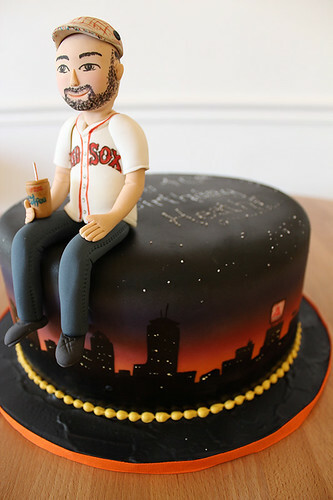 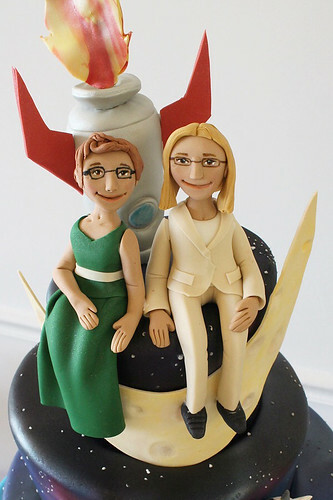 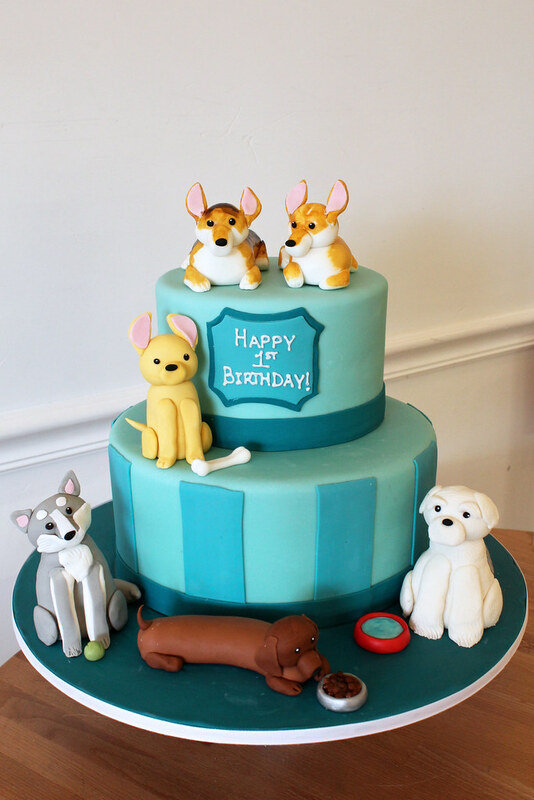 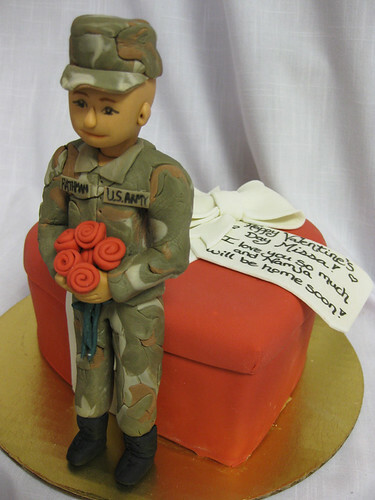 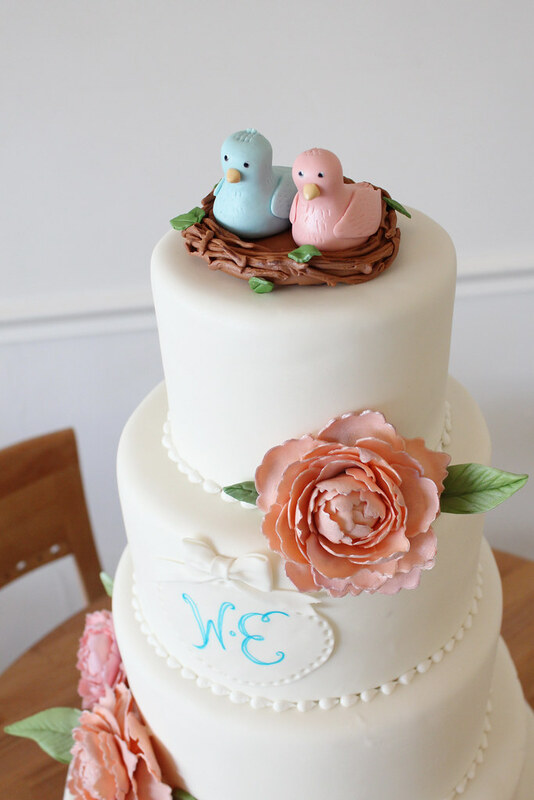 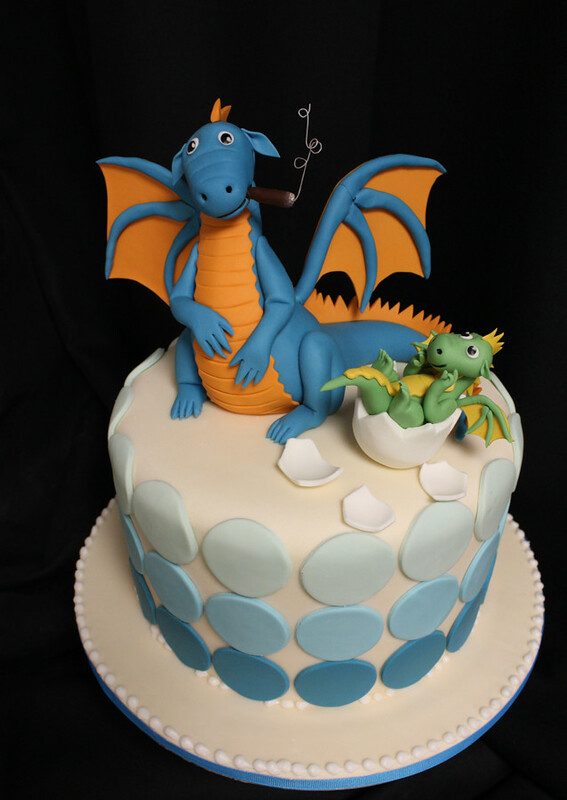 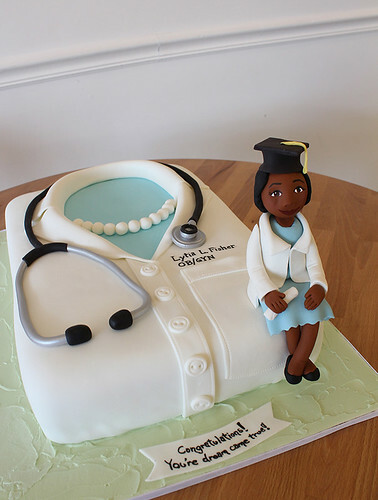 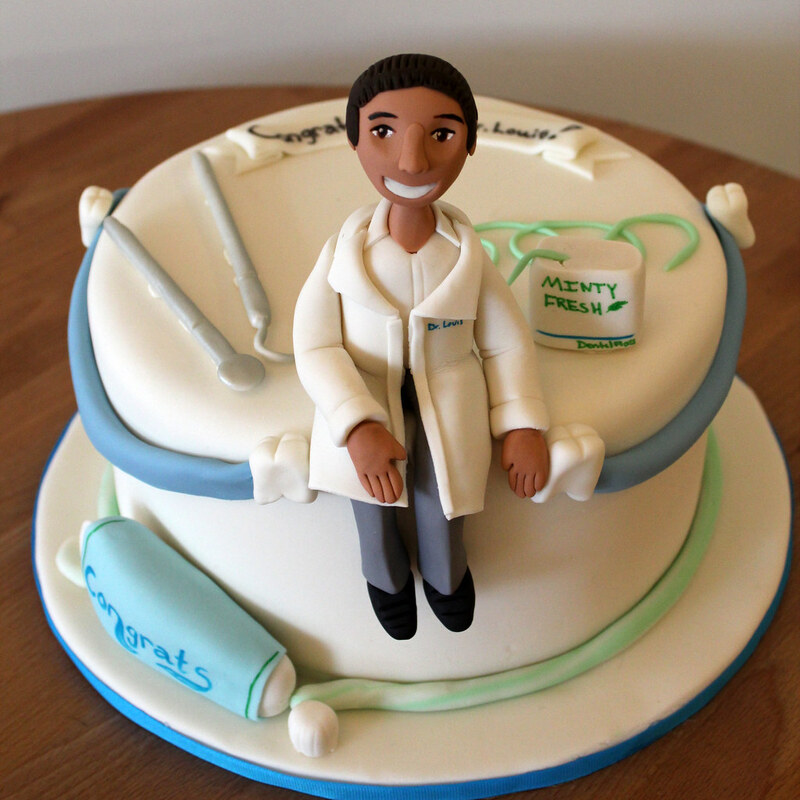 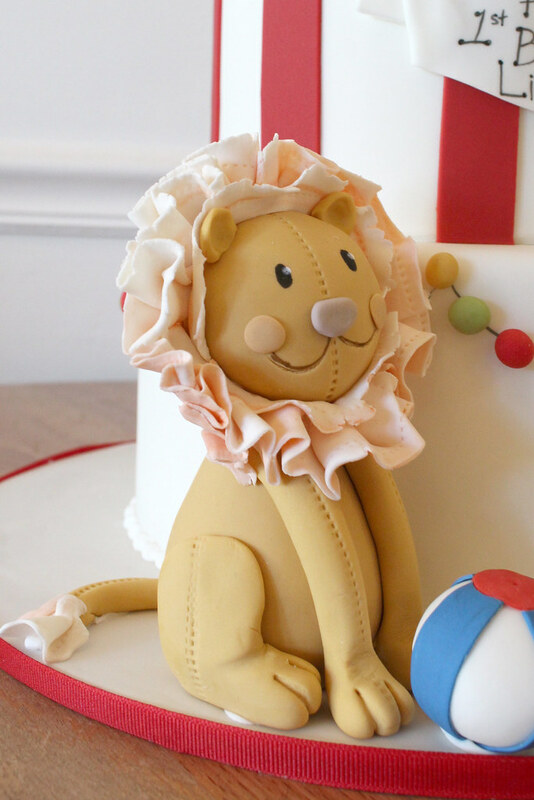 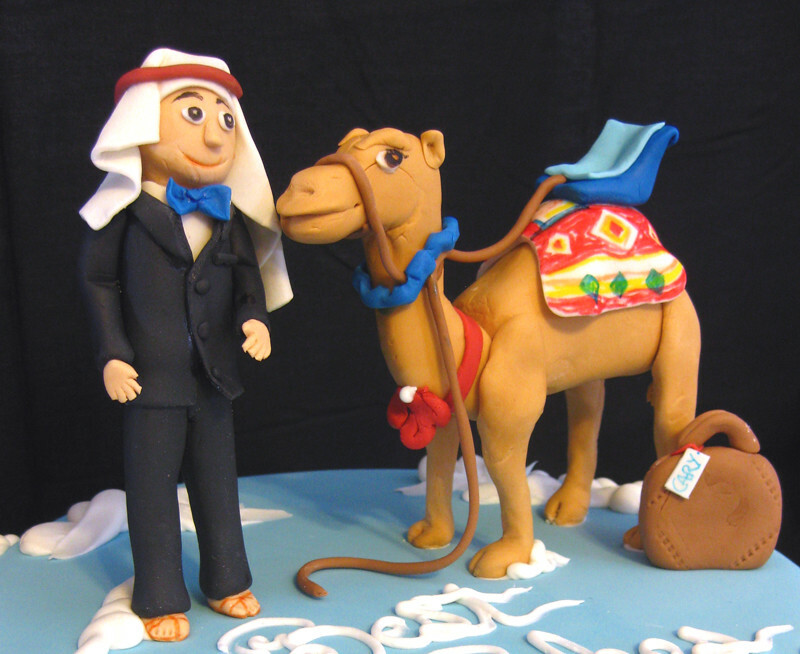 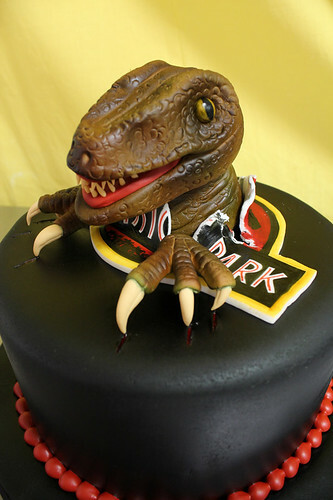 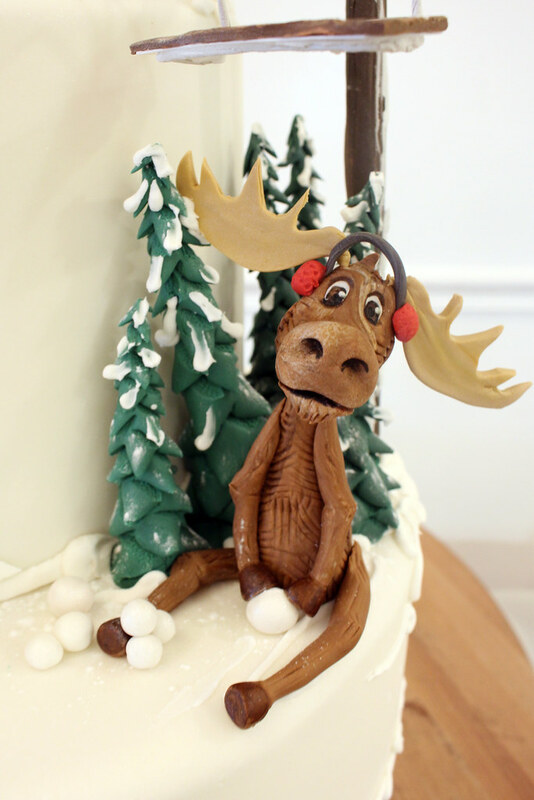 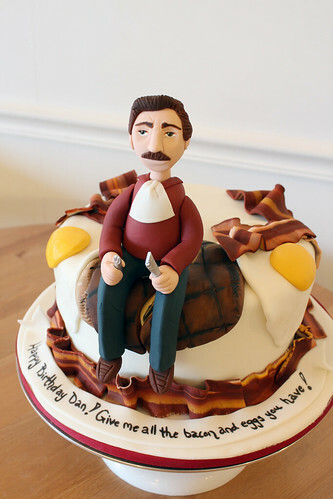 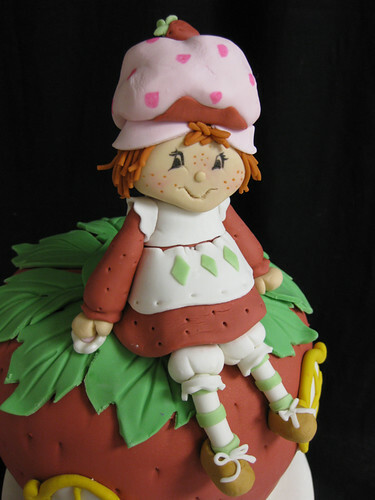 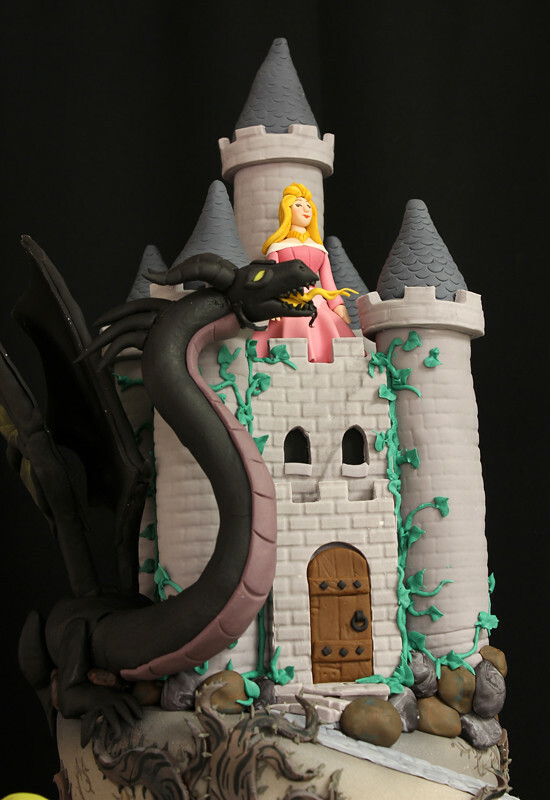 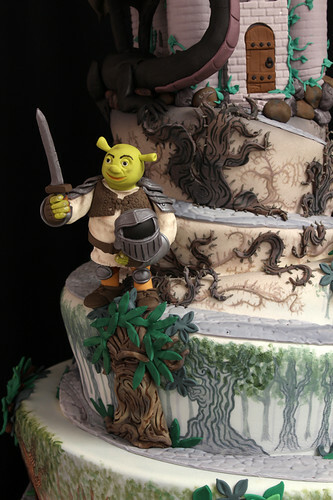 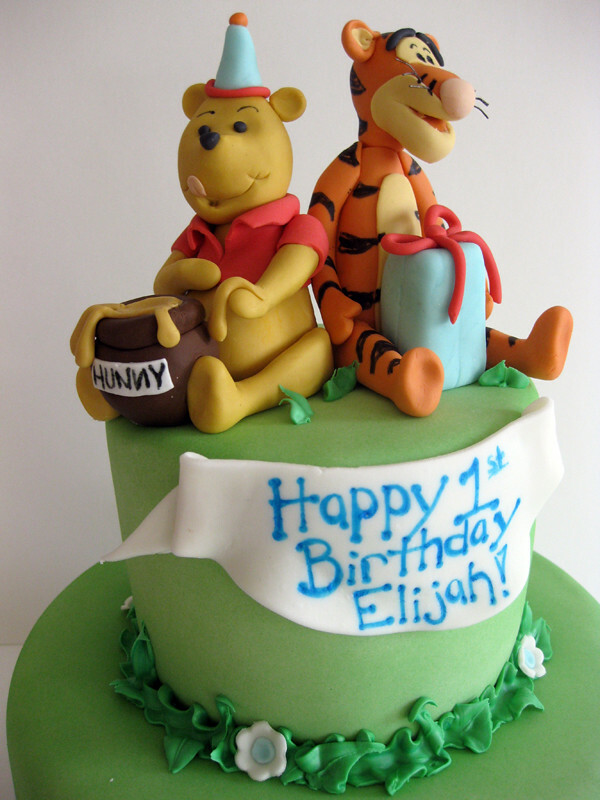 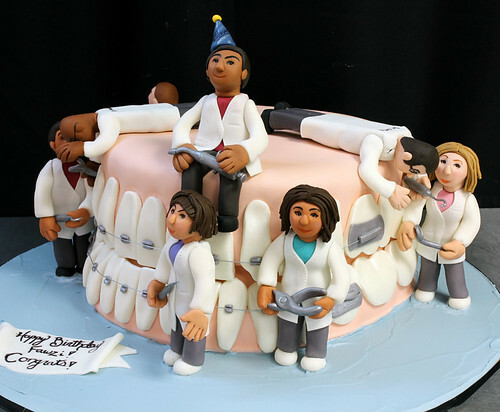 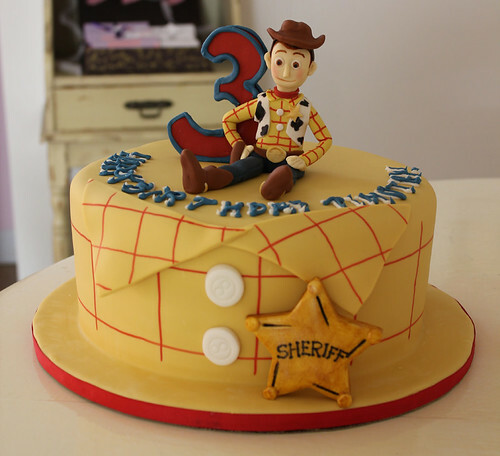 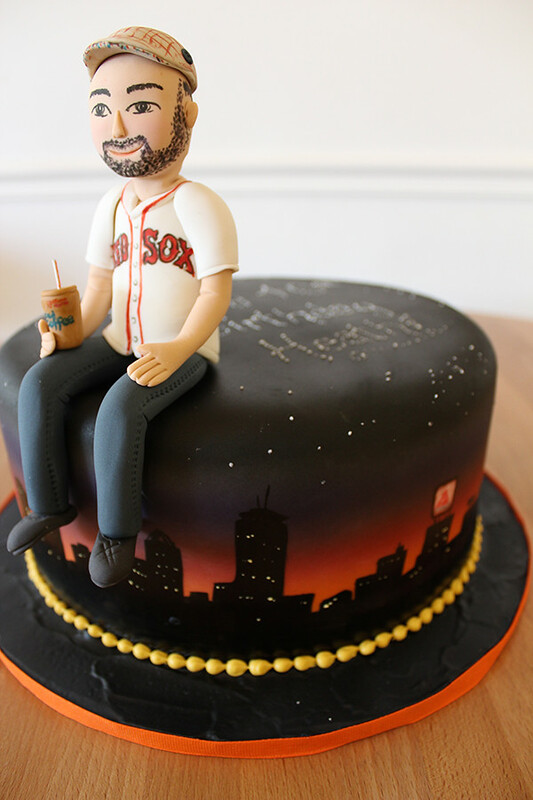 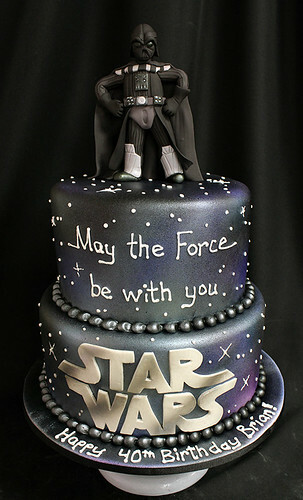 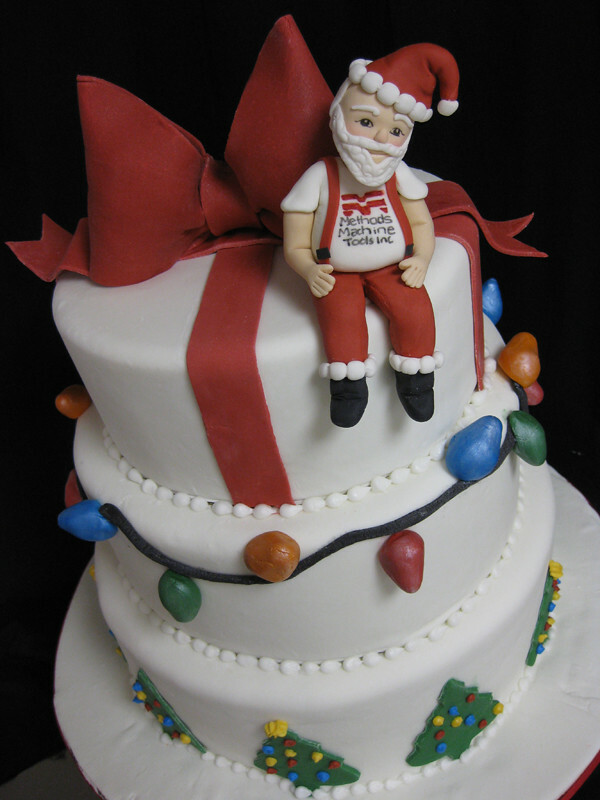 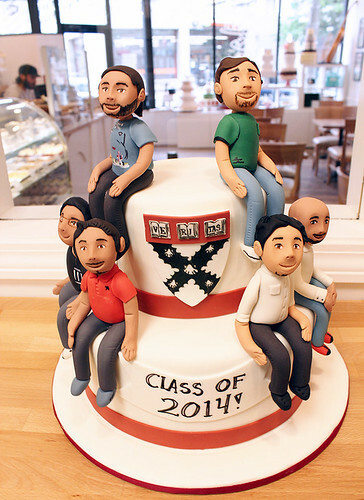 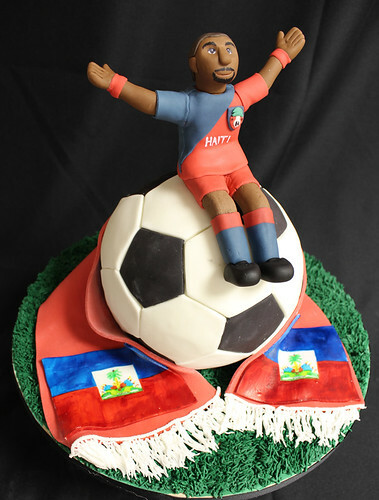 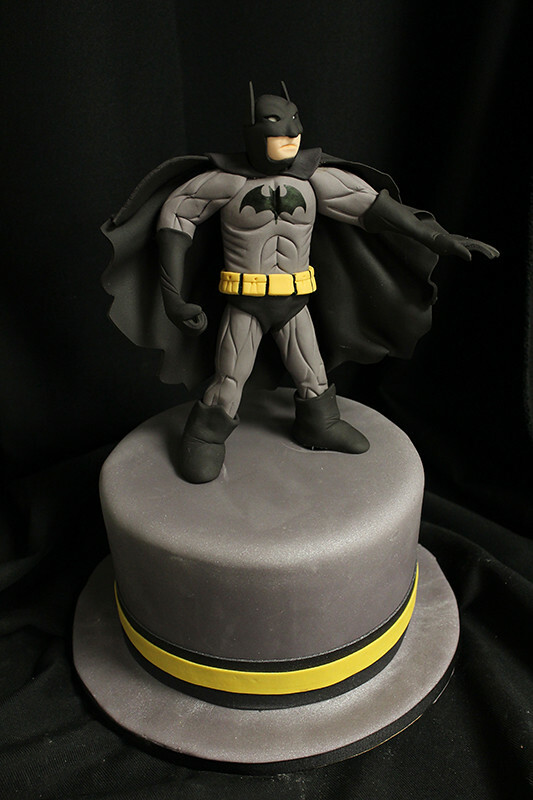 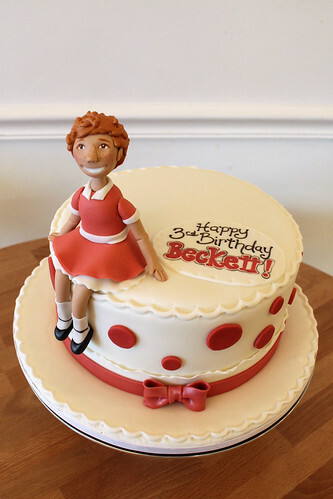 A really unique and extra special way to customize any cake is to add a hand-sculpted sugar figurine. 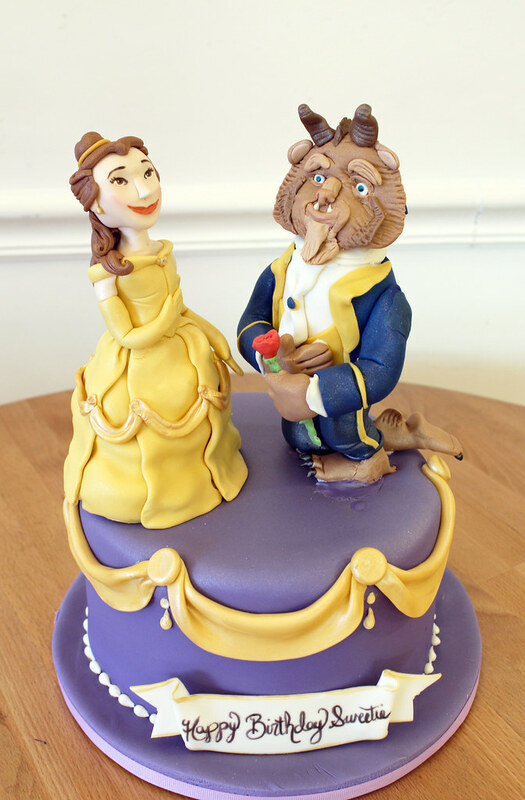 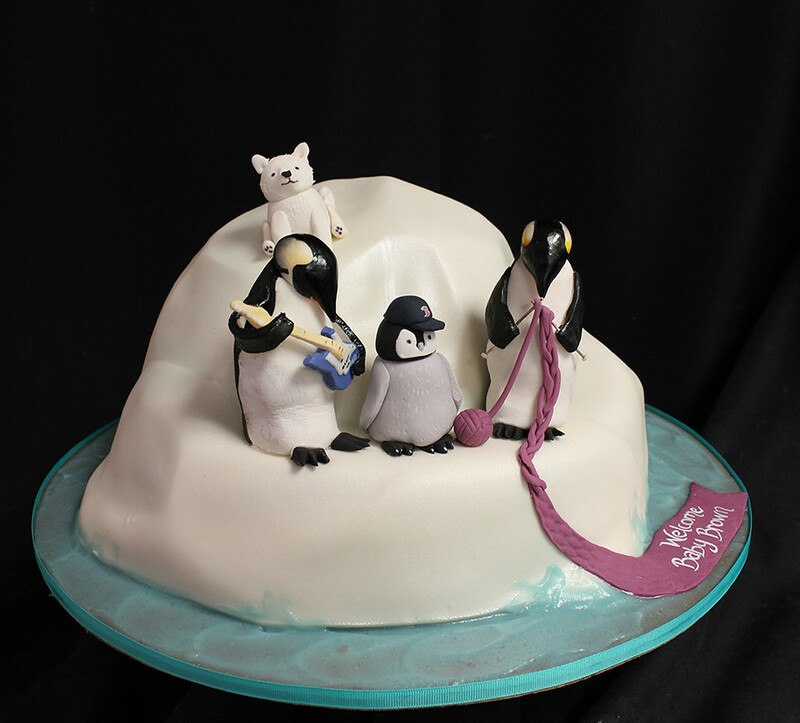 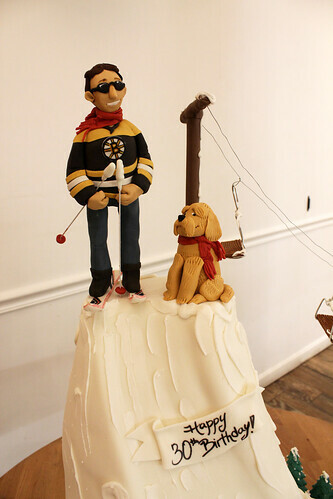 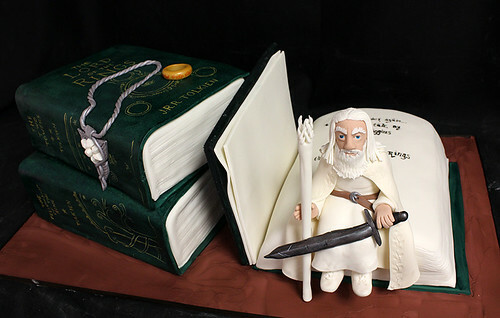 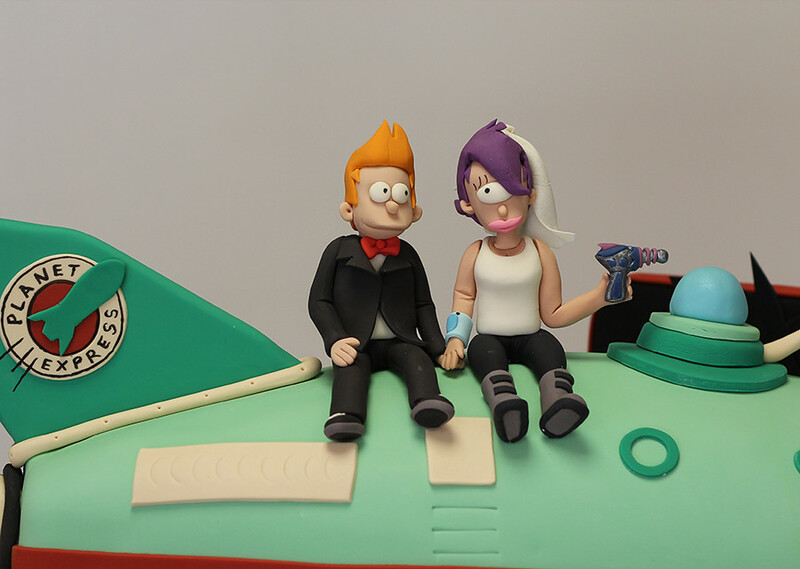 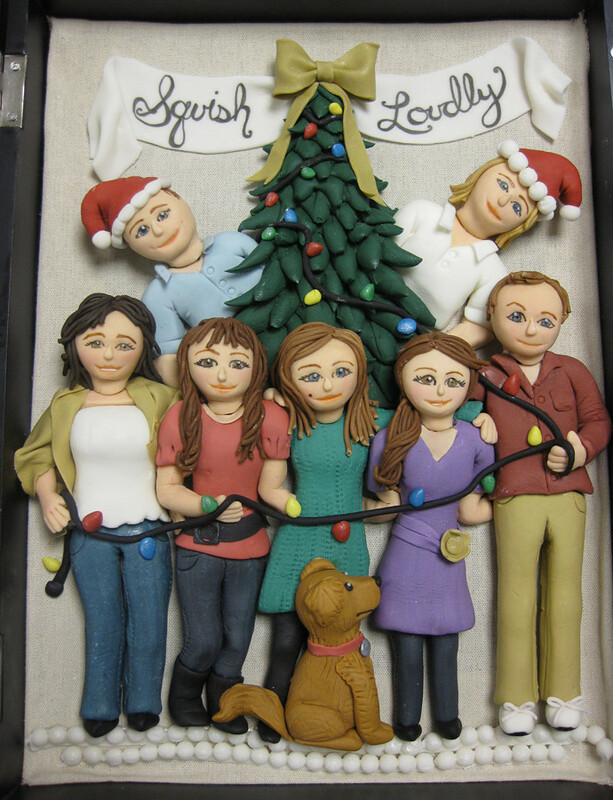 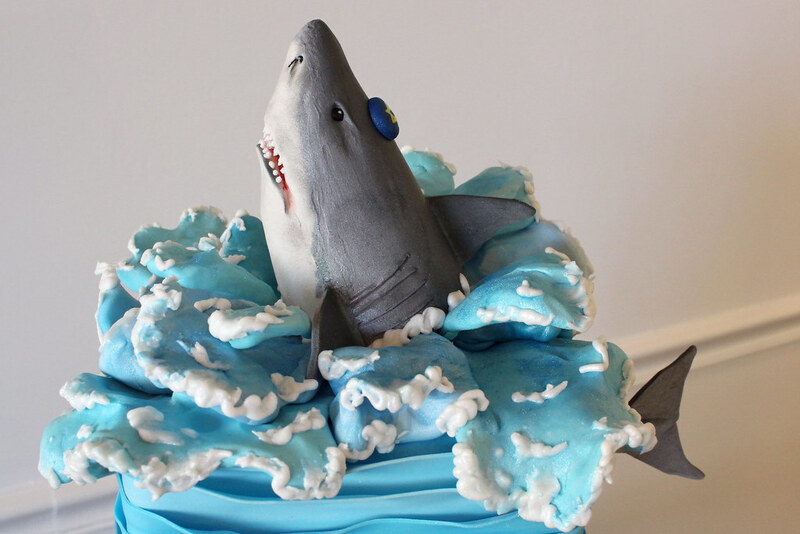 Our cake artists sculpt these figurines out of fondant and gumpaste so they are entirely edible. We do, however, recommend that after your cake has been eaten, simply keep your figurine dry at room temp and it will last a long time. 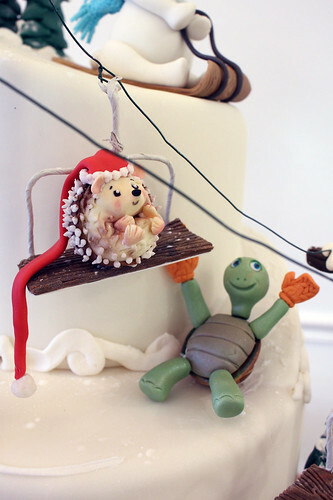 Figurines are made of sugar but don’t taste nearly as good as the cake itself. 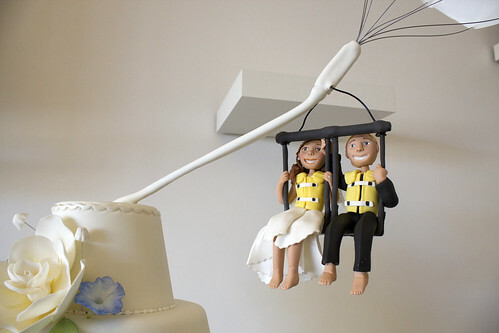 They make better keepsakes than snacks. 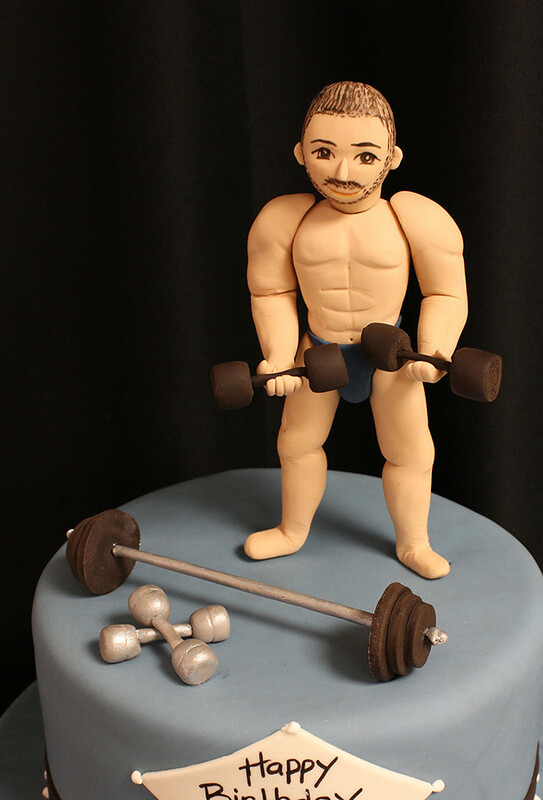 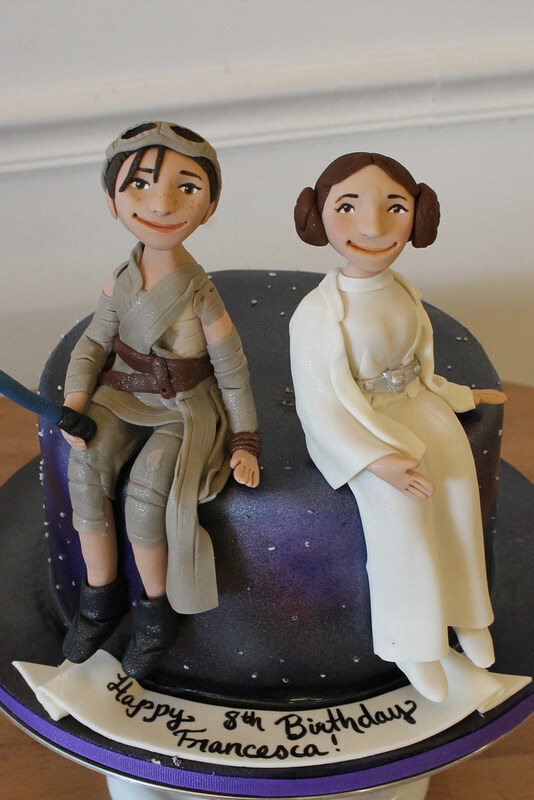 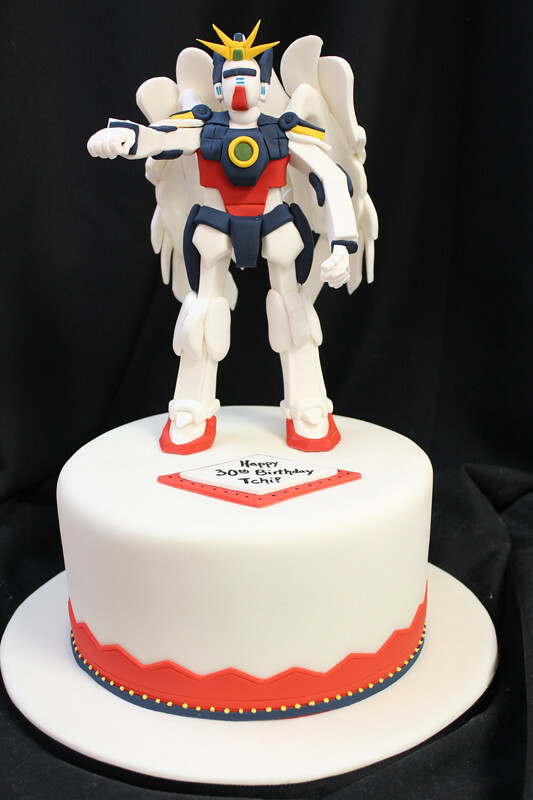 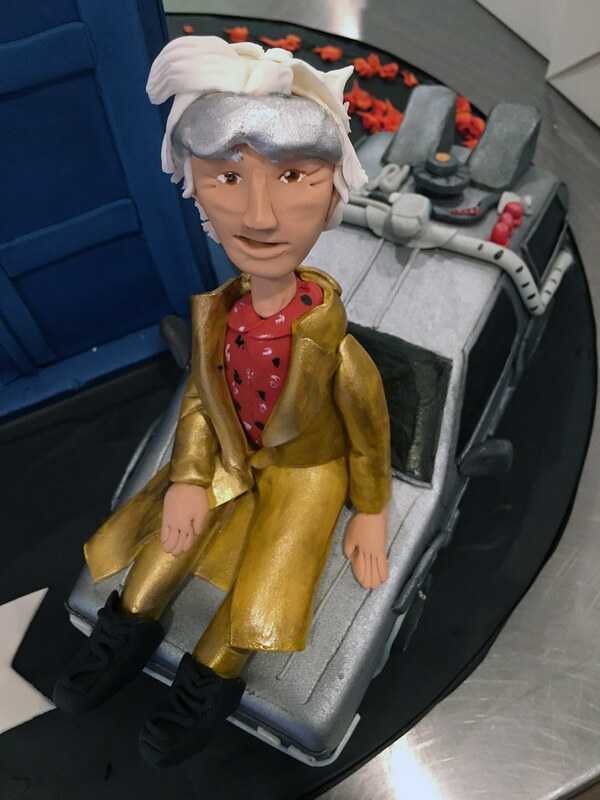 When ordering a figurine for your cake, keep in mind that in order for us to sculpt a person or character out of sugar we’ll first need some reference material. 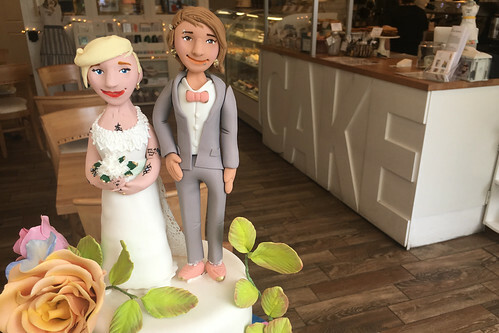 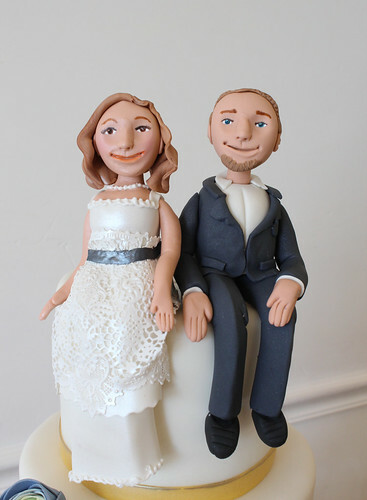 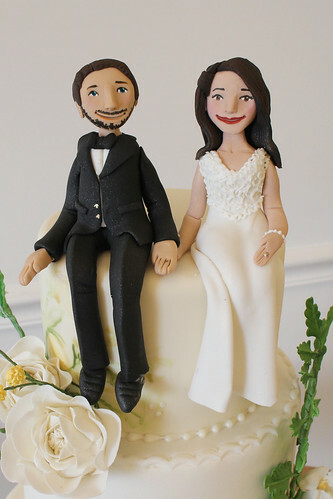 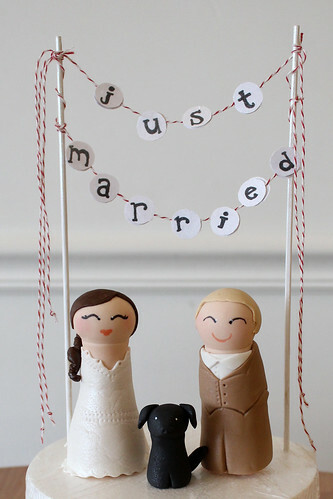 If ordering a figurine of you and your fiancé for your wedding cake, send us a color photo and let us know what type of clothing you’d prefer to be wearing so we can create the figurines in your likenesses. 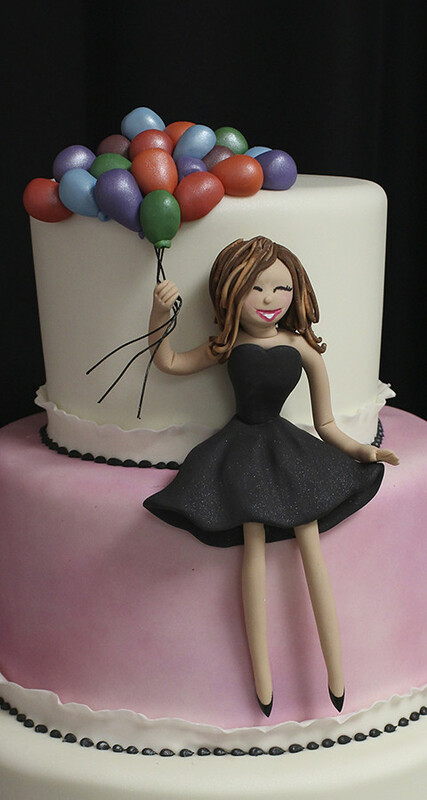 Generally speaking, a figurine of a person takes approx. 1 – 2 hrs to complete, thus adding $75 – $150 to the price of the cake. 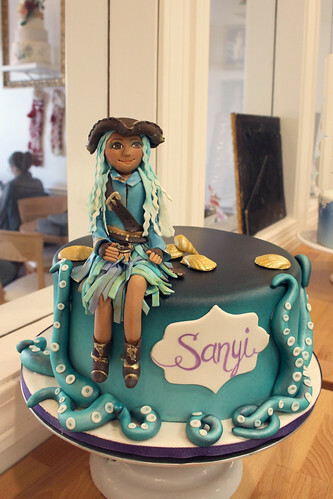 The exact price of a figurine is dependent on its overall size and detail. 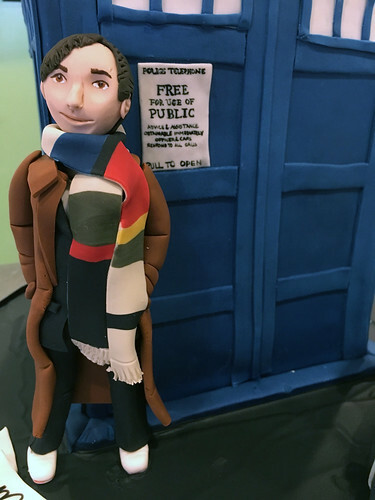 Our general pricing guideline is $75 – $125 per person figurine, less for simpler figurines like animals, and more for very detailed figurines. 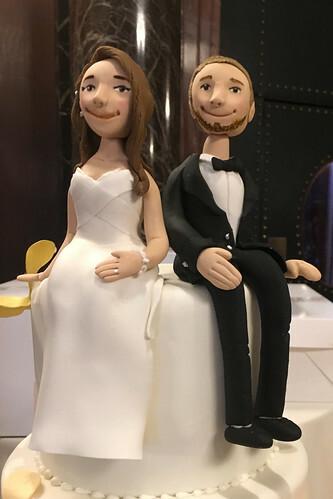 Thus two figurines of a couple, made of sugar, sitting atop their wedding cake would add about $150 to the final price of the cake. 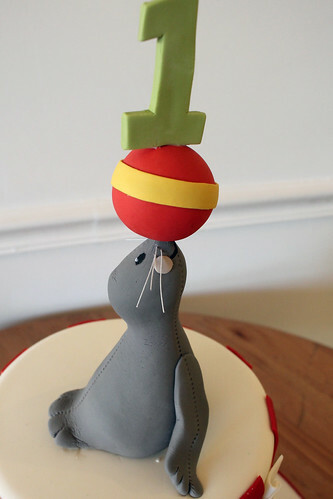 Huzzah, math! Because our pricing is linked to our time, if you let us know what your budget and serving requirements are, we can come up with a design to meet your goals. Many of our designs can be varied to be more detailed and awesome, or less so, based on your individual requirements.